50 White and Coloured Chalks A box of 50 chalk sticks in White and Multicolours. 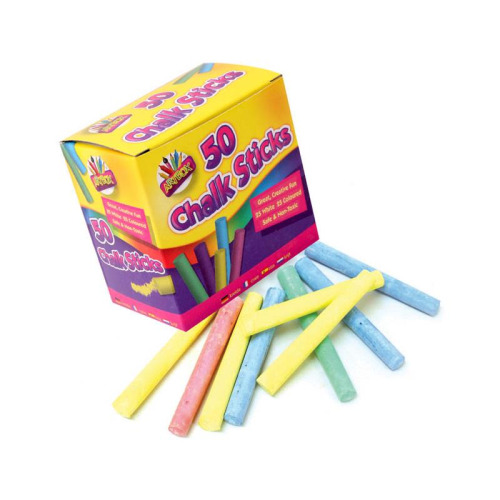 50 White & Coloured Chalks A box of 50 chalk sticks in White and Multicolours. There are 25 White Chalks and 25 Coloured chalks. Excellent for a range of different uses, not just for the blackboard, good for menu boards, ensuring writing and lines can be seen on metal and stone, or just creating little masterpieces on the pavement.